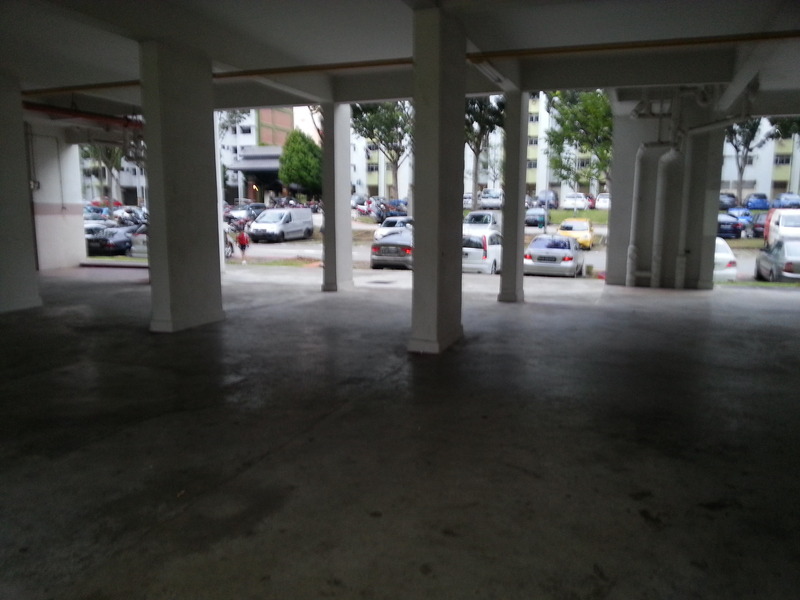 Few weeks ago, there was a Malay wedding at the foot of my block which we called the void deck. Since we live on the second story of the block, this ceremony took place just below our flat but thankfully we were out of the flat before the ceremony took place. Thankfully, because it can be quite noisy since the wedding couple’s arrival is always accompanied by the hadrah band, with men beating a rhythm on their timbrels and frame drums and reading verses from the Koran (read: http://infopedia.nl.sg/articles/SIP_73_2005-01-25.html). But it is very interesting to watch, especially the performances. 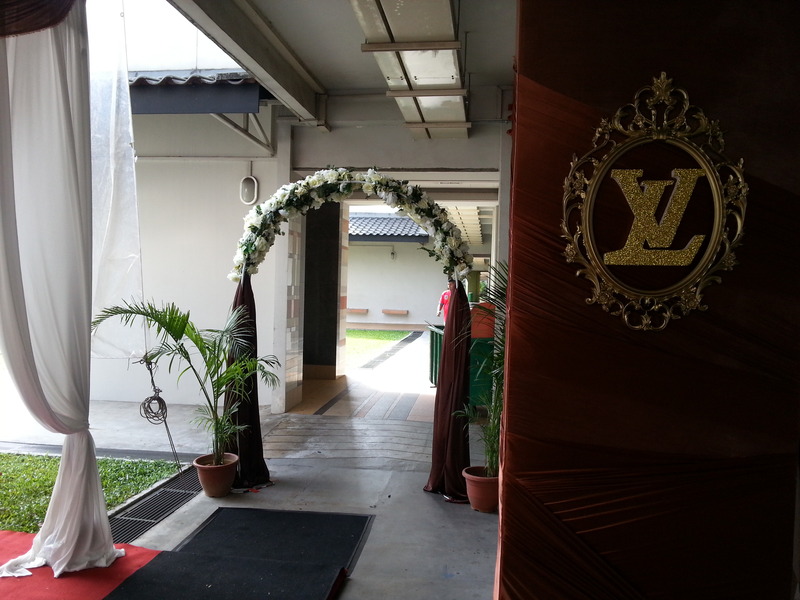 Anyway, I managed to take a few pictures of the beautiful decoration at the void deck before the start of the ceremony which is always held in the afternoon. 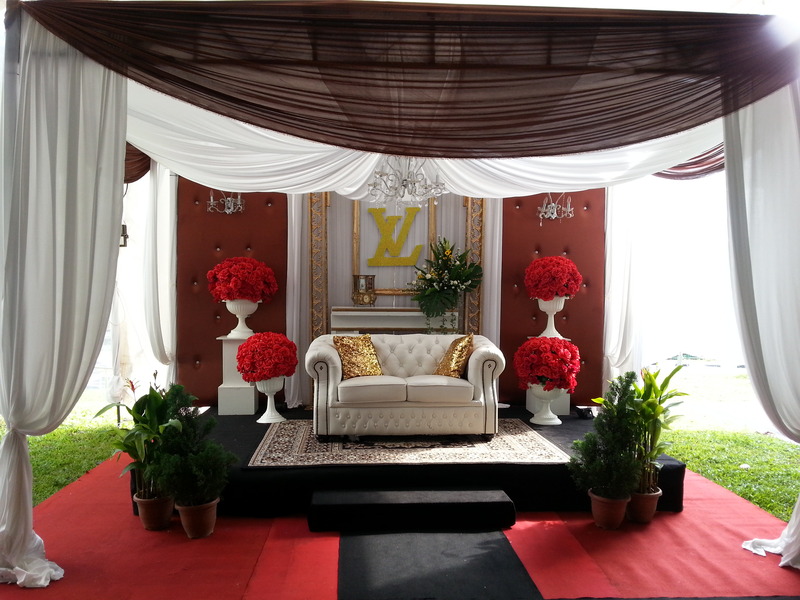 This 2nd picture is the bridal couch where the wedding couple will sit like royalty as family members, relatives and friends sprinkle them with yellow rice and scented water as a sign of blessing. 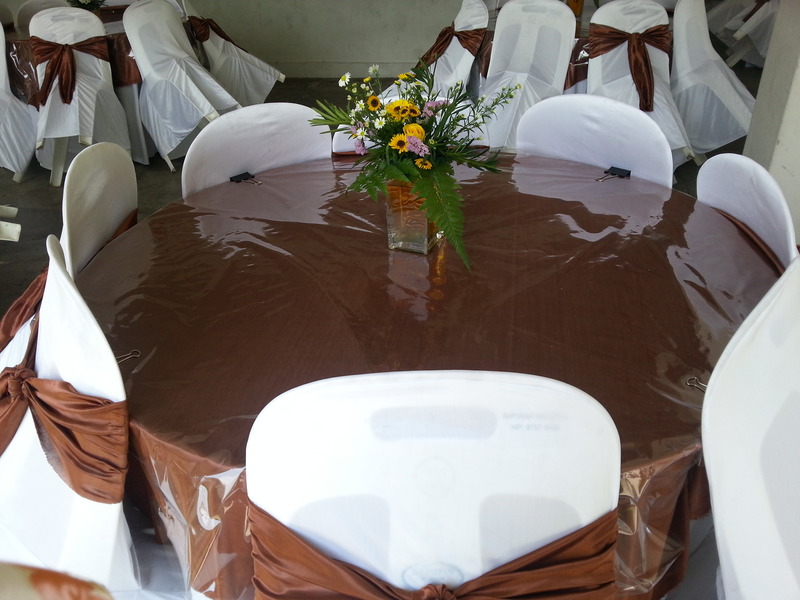 The caretaker of the whole setup was kind enough to remove the tarpaulin sheet covering the bridal couch for me to take a picture of it. 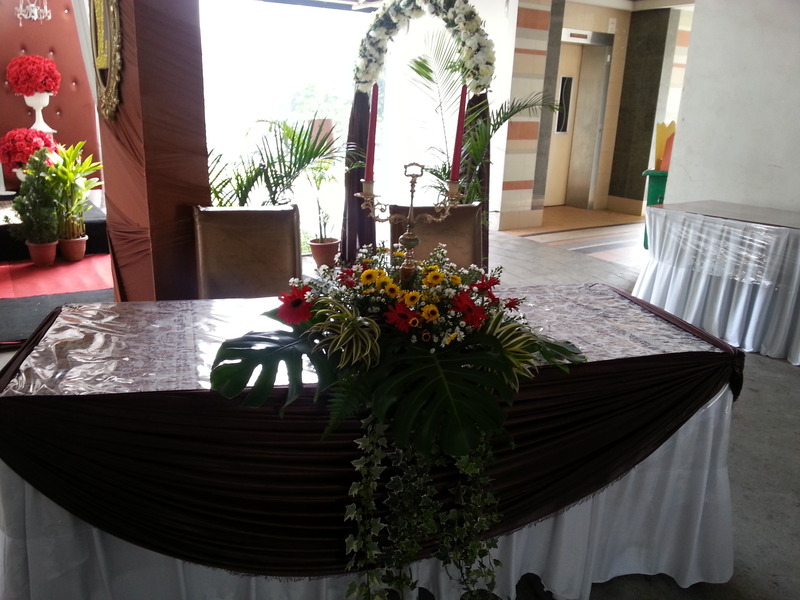 I suppose this is the reception desk for the guests to register their attendance. The royal couple and the guests are typically treated to performance of Silat (Malay martial arts), singing by professional musicians and even Karaoke by the guests. Guests are treated to home-cooked meals that are cooked on the spot over portable stove and in giant pots at the side of the void deck. Oh wow, this was beautiful Judy… Thank you so much for showing us so much and explaining what happens during a wedding in your area. Thank you for reading, Rosemary. Beautiful, Judy. Thanks for letting us have a look. Lovely, and amazing what can be done in a short amount of time. Thank you so much for sharing this with all of us. This looks spacious. Where is this? It’s at one of the HDB void decks.